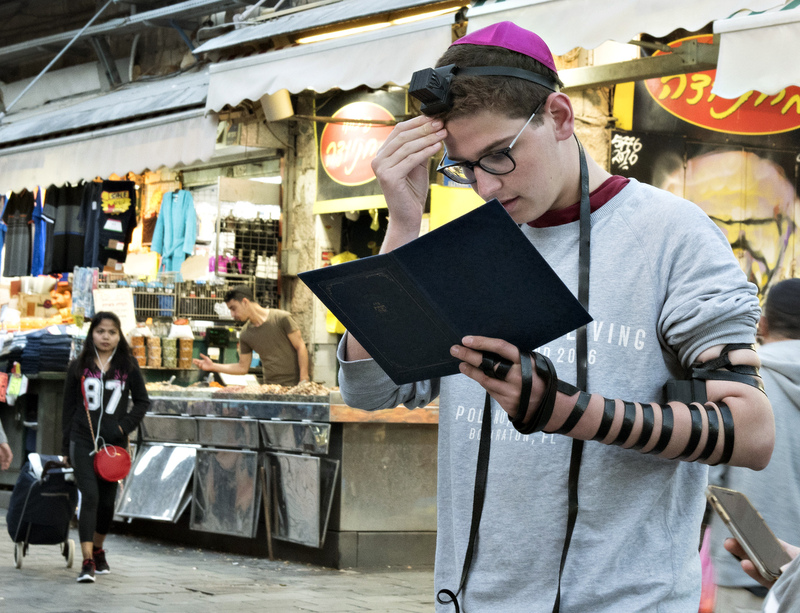 Benji Flacks, of Auckland, New Zealand, puts on the tefillin while praying at the Machane Yehuda Market. Flacks is in Jerusalem as part of a five month internship program with the Knesset and The Media Line, an American news agency. 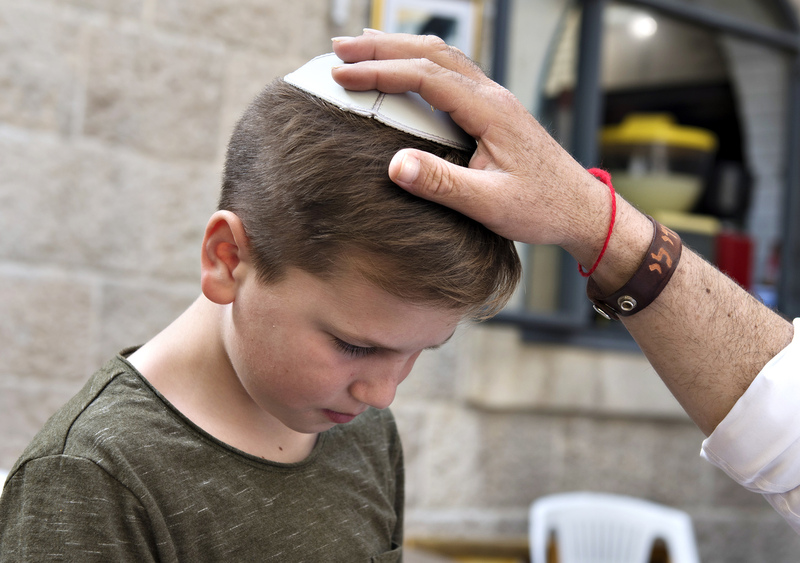 Noam Natoli, 10, of Paris, France, receives a prayer in the Jewish Quarter of the Old City. In Judaism, some believe a red string on the wrist will ward off bad luck. 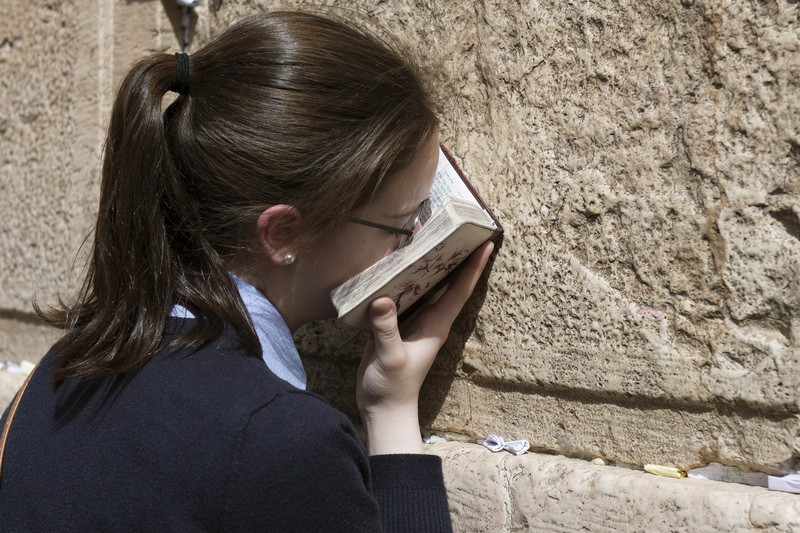 An Israeli school girl prays at the Western Wall. The Western Wall is the most holy site in Judaism. 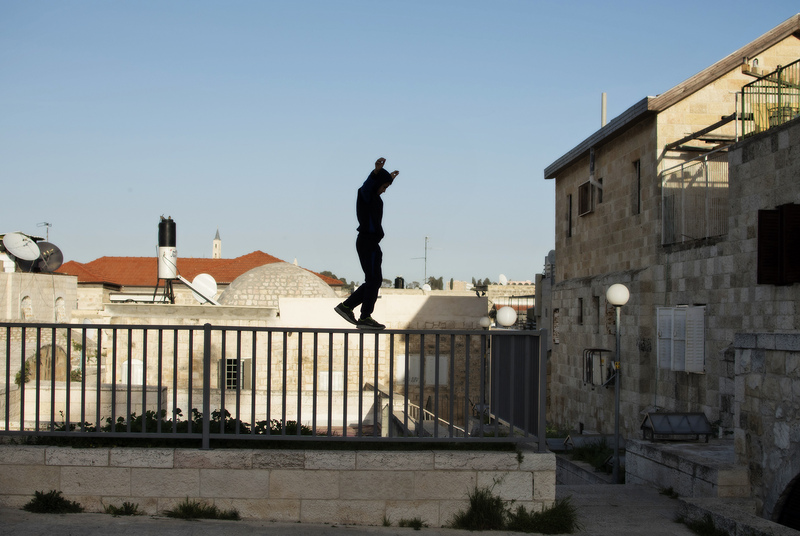 A Palestinian boy walks on a railing on the rooftops over David Street in the Old City. The boy ran through and jumped over the rooftops while his friend struggled to keep up. 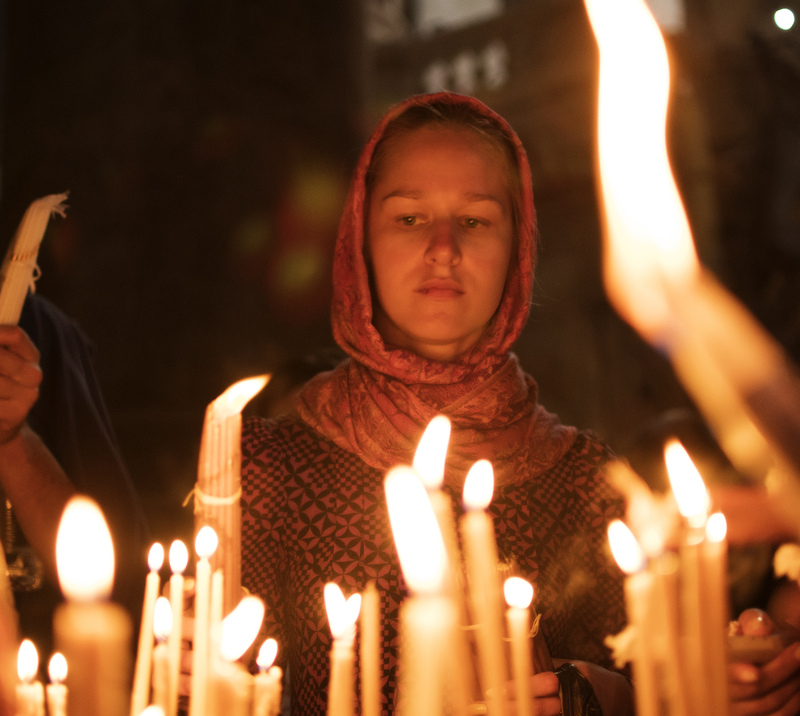 Ivan Kelava, of Croatia, prays at the Church of the Holy Sepulchre. 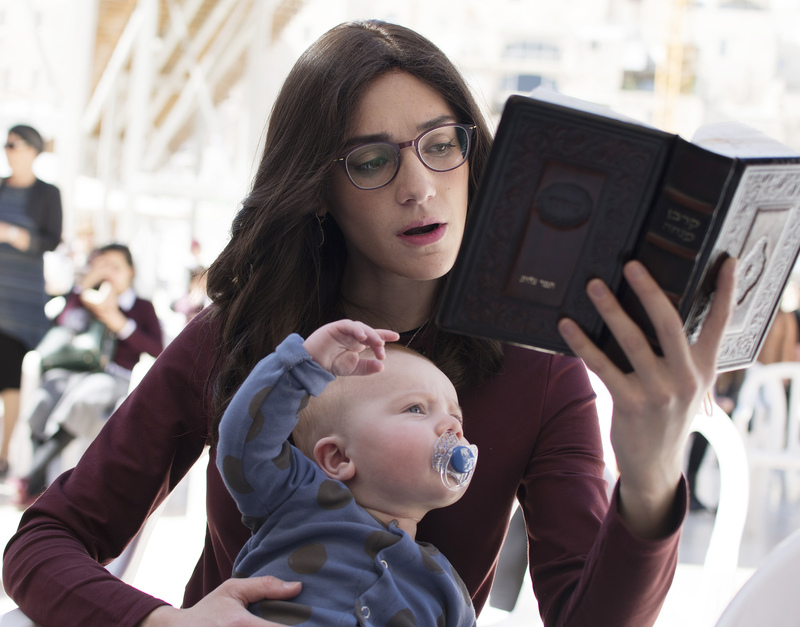 Tamar Gluck holds her son, Chaim, while praying in front of the Western Wall. Gluck was praying for her son and success in her future career as a lawyer. 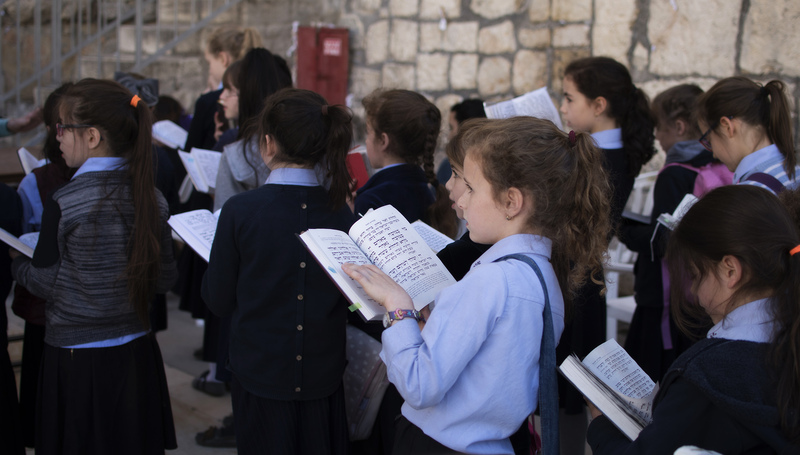 An Israeli school girl prays in front of the Western Wall. 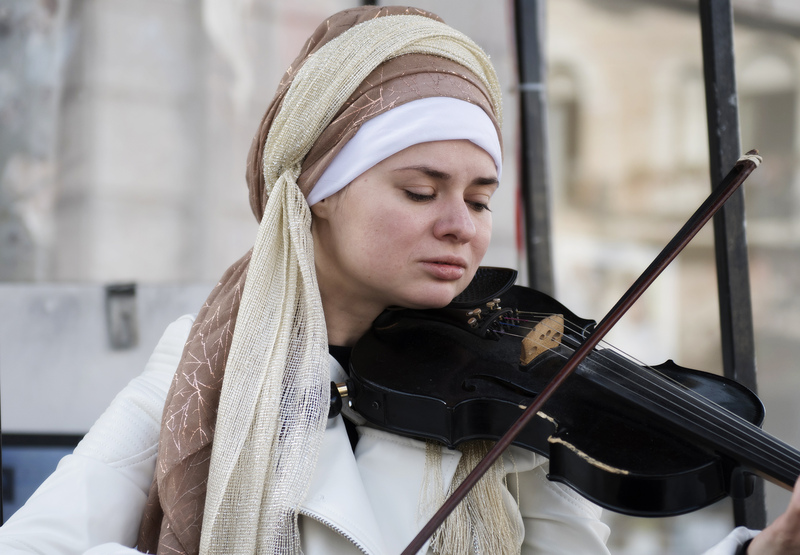 Alexandra Kanarit, originally from Ukraine, plays her violin for a small crowd at the Zion Square in Jerusalem. Kanarit fell in love with music in kindergarten and has been playing the violin for 25 years.